Here's where to watch every episode of Now and Again season 1. Mouseover or tap an episode to see where to stream it. Click or tap the play icon to stream it on the best available service. 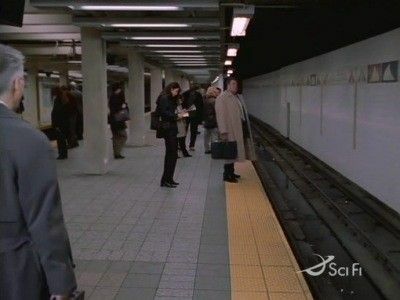 Origins Sep 24, 1999 Michael Wiseman, a middle aged insurance seller with a family, dies in a subway accident. The Government rescues his brain and offers him a new life, in a new body. A new genetically engineered and enhanced body at that. The only condition is that he can never have any contact with his family and friends from his previous life. 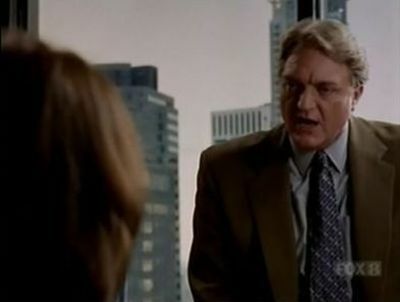 On the Town Oct 1, 1999 Michael breaks free from his bodyguards and heads to his old office and Roger. He wants to see his wife and daughter again. He forces Roger to drive him to his house where he watches Lisa and Heather and then sees Lisa leave on a date.Dr. 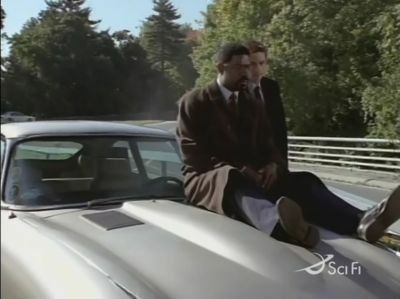 Morris is not a happy man and has all his men out on the street trying to find Michael. Meanwhile the Eggman is in America and is planning to blackmail the city or release his nerve gas there. 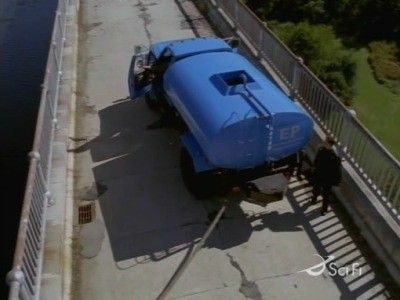 Over Easy Oct 8, 1999 Now that the city has received a blackmail demand from "The Eggman", and they have seen the proof that he does possess the poison gas he claims to, it is time for the new, improved Michael Wiseman to show his worth and deliver the bearer bonds to the blackmailer. 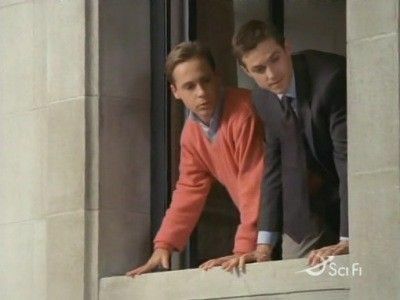 Little does Dr. Morris and Michael realize but when they go off to the drop Lisa, Roger and Heather are following, trying to find out what Michael is up to, unknowingly putting themselves in danger. One for the Money Oct 15, 1999 It is finally time for Michael's first "real" mission. With the assistance of an old, long time, agent he is going to be sent to Hong Kong to arrange the "elimination" of an ex-agent suspected of selling secrets to foreign powers. 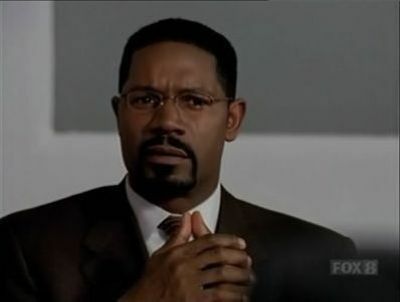 Michael doesn't like the use of the word "elimination" in his mission statement but is told by Dr. Morris that he is not given him any choice over whether to take the mission or not. With the insurance money for Michael's death still not sorted out Lisa and Heather are running into money problems, meaning that Lisa has to go out looking for a job for the first time in many a year. The Insurance Man Always Rings Twice Oct 22, 1999 Michael manages to get hold of a paper and is shocked to discover that "his" house is up for sale. He breaks out again and gets Roger to tell him what is going on. Roger informs him that the reason Lisa is selling is because she is broke, the insurance company has refused to pay out on Michael's life insurance policy. When he learns this he pleads with Dr. Morris to give him 3 days of freedom so that he can convince his old boss, Craig Spence, to pay out the money to his wife. 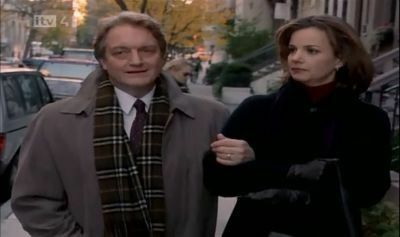 Nothing to Fear, but Nothing to Fear Nov 5, 1999 Lisa plucks up the courage to go to Michael's apartment and ask him out on a date. Dr. Morris tells Michael that not only is he not going to be allowed to go but he also cannot call to cancel either. At the same time Dr. Morris becomes interested in the rash of people doing incredibly stupid things, almost as if they had completely lost their sense of fear. He wants to know whether this is just coincidence or whether there is someone behind it. 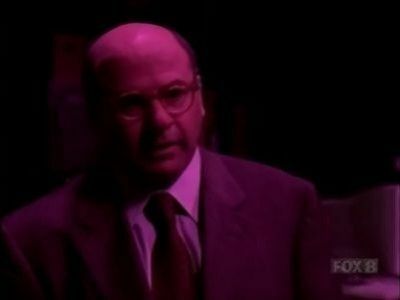 To find out he gets Michael to investigate. A Girl's Life Nov 12, 1999 Heather is struck by lightning while out looking at a bright light in the sky. She is rushed to hospital but is in a coma, and in a very serious condition. 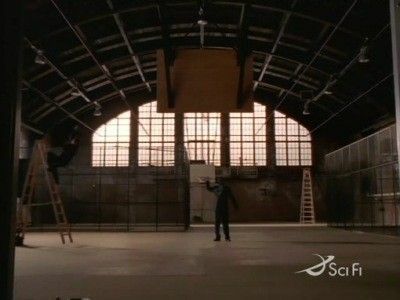 Dr. Morris takes Michael to see her, from outside the 4th floor window of the room she is in.He was the bright light she saw as he was testing a new suit in the sky. When he appears outside her window she comes out of her coma and sees him. She is convinced that she saw an angel and soon the story is all around school.The story of the angel in the sky brings out all the kooks and believers, which prevents Dr. Morris from being able to continue his experiments, something that does not please him! Pulp Turkey Nov 19, 1999 It's Thanksgiving and Morris is taking Michael with him to his sister's for the day, Lisa and Heather are having their normal celebration meal and Roger has to go to the museum to see about the insurance of an important Russian artifact. Without an appraiser with him he tells the curator that there is nothing he can do until after the holiday. This is not good enough though and in a blink of an eye Roger finds himself having a suitcase, containing the item, handcuffed to his wrist. He now has the responsibility of safeguarding the item for the day! When he leaves the museum he goes and visits Lisa and Heather, unknowingly bringing to men who are trying to steal the item along with him. 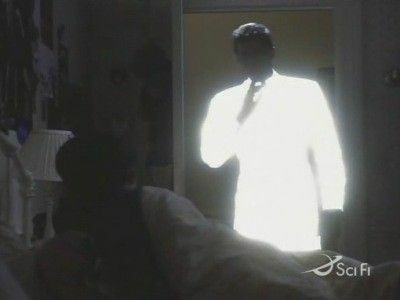 By the Light of the Moon Nov 26, 1999 Frustrated by Dr. Morris' lack of success with Michael the government brings in another doctor to help him. The doctor, Dr. Taylor, turns out to be a young woman who is an expert in releasing a persons potential. Michael starts to have feelings for her as his training progresses, something he does not want to do, as he still loves Lisa.Meanwhile Lisa is thinking about whether or not to get back in touch with Gerald, to see if he is available for a date. 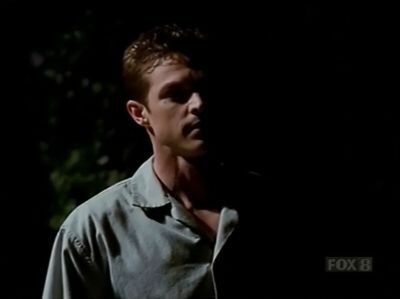 I've Grown Accustomed to His Face Dec 17, 1999 Theo informs Michael that he is going to be taken for a survival test the next morning. He'll be left out in the wilds and will have to make his way back to civilization while being tracked by other members of Dr. Morris' staff. The next morning he wakes up to find his apartment empty, the alarms blaring and the front door open. Where is Dr. Morris? Is this part of the test or has something happened to him? Fire and Ice Jan 7, 2000 Dr. Morris has his experiments involving the effects of extreme temperatures on Michael interrupted by another group of scientists, including a woman who leaves him completely tongue-tied. So much so that he needs Michael's help in talking to her, Cyranno De Bergerac style. Meanwhile Lisa wants to change her life, worried by the fact that her 18th wedding anniversary is/would be coming up. Disco Inferno Jan 14, 2000 A police detective calls Dr. Morris to the scene of a very unusual death, a body that seems to have burnt to ashes. The detective tells Morris & Michael that the evidence they have suggests the possibility that the fire started from within the body rather than from n outside source. Michael wants to investigate while Morris has no interest in getting involved at all. Michael keeps pushing until he persuades Theo to get involved. After managing to find what could turn out to be a clue they find themselves outside the First Church of the Elevations, wanting to question its charismatic leader, Reverend Kelso. 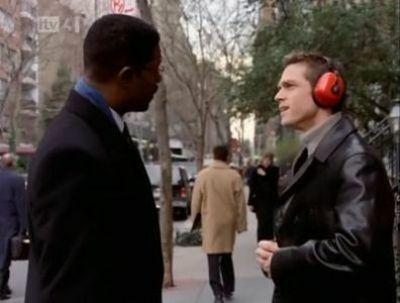 I Am the Greatest Jan 28, 2000 Theo reveals a big surprise to Michael; he was not the Governments first experiment of his type. There was an army private before him who had the same kind of treatment years earlier. He escaped and vanished into thin air, never to be seen again. Now Theo thinks that he has finally reappeared, as Maceo T. Jones, unbeaten heavyweight boxing champion of the world. Michael's job is to get close enough to the champ to get a DNA sample from him. Once Theo has that in his possession he will be able to prove without a doubt that Maceo is, or isn't, who he thinks he is. Lisa starts her new job as a real estate agent and discovers that it is not going to be as easy as she first thought. Film at Eleven Feb 11, 2000 Theo takes Michael with him to a meeting out in the park. He has to leave Michael there when he contact tells him that the POTUS wants to see him. Michael decides that he shall take this moment of freedom to send his wife some flowers for Valentines Day.Having no money he has to the bank and turns up just before the place is robbed. All the customers and staff are locked in the bank vault while the robbers escape.When one of the customers collapses and needs to get to hospital Michael makes a quick decision and uses his strength to open the vault. Unfortunately for him he is caught on camera doing so, something that does not please Theo at all. Deep in My Heart is a Song Feb 18, 2000 The "New" Michael Wiseman suddenly goes into a catatonic state for no apparent reason, just before a General arrives to see if the project is going well and is still worth funding. In other words at the worst time possible! Dr. Morris can discover no medical reason for Michael's condition and is becoming extremely worried, not even Michael's original medical records reveal anything that could be helpful. Meanwhile we see flashbacks to Michael's original life and see the same thing happen to him then. Not wanting to worry Lisa he doesn't go to his usual doctor and keeps it a secret. With General Irving threatening to either pull the plug on the project or put a new brain in "the" body Dr. Morris is running out of time to save Michael. Everybody Who's Anybody Feb 25, 2000 General Irving calls for a meeting with Dr. Morris & Michael. He wants them to perform an "information retrieval" mission of a personal nature, to recover some compromising photos for him. If they don't get them and the General is removed from office then their funding could go as well. To get the photos he needs Michael to break into the safe of Senator Kragen, during a reception held at his home.Roger is asked by his boss, Craig, to go to the same reception and, as his wife is unable to go, invites Lisa to go with him. Lizzard's Tale Mar 31, 2000 Theo takes Michael to a medical conference to get him out of his room and give him a chance for a change of routine. They meet Frederick lizard, an old friend of Theo's, who wants to headhunt Theo for his own organ finding business. He tells Theo that with the money he could supply him Theo's research would improve much faster than with government assistance. During a meal together Frederick puts two and two together and realizes that Theo's "research" is with him and wants to find out more about Michael. 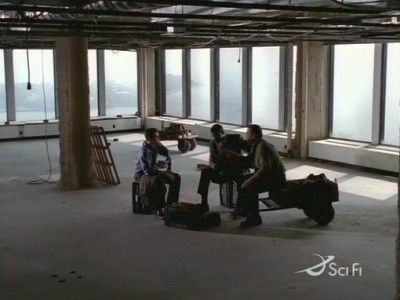 There Are No Words Apr 14, 2000 The scientific library urgently contacts Dr. Morris and asks him to come to their building. It seems that all the words have vanished from all his old papers, and now seems to be spreading to all the other books in the same section.Not long after this the same thing starts happening at the Wiseman's house, the only connection between the two is that Dr. Morris has been to both of them. Dr. Morris and Michael have to find out what is causing this "virus" and how to stop it, before it spreads across the whole world! The Bugmeister Apr 21, 2000 His wife having kicked him out Roger asks to stay with Lisa and Heather, who doesn't take long to get fed up with him living with them. She is going on a school trip to the museum, full of other old things, which does nothing to cheer her up. There she meets Dr. Bing, who looks after the insect section of the museum. Meanwhile Dr. Morris is trying to find out why virus carrying Mosquito's are appearing, before they should be out of hibernation, and are biting rich, prosperous businessman. The Bugmeister, Part Bee Apr 28, 2000 With more and more people being bitten by insects carrying a killer virus it seems as if there is some sort of human control over these concerted attacks. Can Theo and Michael find out if this is the case and , if so, find the person controlling them before it is too late? 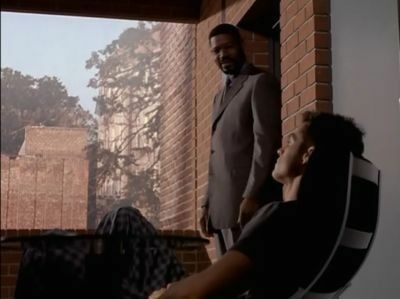 The Eggman Cometh May 5, 2000 Lisa learns some unsettling facts about her husband's death and Dr. Theo Morris, Michael tries to decide what to do while he has no tracking device implanted in him and The Eggman and his fellow inmate, Charlie, plan an escape from their prison.